Do you live in the Ashford area? Have you ever been involved in an accident that wasn’t your fault and suffered injuries because of it? There’s a very good chance you could be able to claim compensation. Our personal injury solicitors specialise in helping the residents of Ashford and the surrounding region to claim financial remuneration after having been involved in accident that wasn’t their fault. Our legal team possess a portfolio and skillset that few other legal firms can match, along with an expansive knowledge of Ashford and the immediate area. If you’ve been hurt in an accident, we can listen to your case, determine who is responsible, and launch a committed campaign to get you the money you deserve. Following My Accident in Ashford, Why Might I Be Entitled To Compensation? Road collisions happen every single day in Kent. If you’ve been involved in a traffic accident in Ashford or the surrounding region, our personal injury solicitors can help you get compensation for any injuries you might have sustained – regardless of whether you were the driver, passenger or pedestrian. Have you suffered an injury at a sporting event, either as a participant or a spectator, in Ashford? If so, our personal injury solicitors will be able to assess your case and investigate if there was any negligence displayed by another party that led to your injuries. If you’ve taken a tumble in a public place, been hit by a falling object, or even suffered an assault, our team can look into the incident and launch a rigorous, committed campaign to get you the money you need to help you recover and get back on your feet. Every employer in the UK is legally obliged to employ safety measures that keep you safe whilst you work. If you’ve been hurt whilst operating in any work environment – be it an office, factory, or construction site – in any way whatsoever, our team can look into your case and determine whether you are entitled to financial compensation. 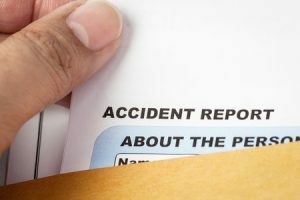 What Does The Personal Injury Claim Process Involve? All you need to do during these three steps is answer the questions we ask you. We pride ourselves on being a legal service that cares for our clients and take as much of the work off your hands as we possibly can. After conducting an interview with you to determine the details of your case, we will then be able to tell you whether we believe you have a valid claim. If so, we will begin the claims process right away, making contact with the defendant and doing all the negotiating (either inside or outside of court) so you don’t have to. Some Ashford personal injury cases can be completed within a few weeks, but some can last several months. This all depends on the nature of your claim and whether the defendant (the person who caused your injuries) admits liability. If the person responsible for your accident denies any wrongdoing, the case will be taken before a judge, where our solicitors will continue to push for compensation. In many cases however, the defendant will admit liability and a settlement will be negotiated out of court quickly, meaning you could receive compensation in a matter of weeks or months. All we ask is that you answer our questions truthfully. Our Ashford personal injury solicitors team will do everything else for you. If you are aware of any evidence related to your accident, such as police reports, eyewitness reports, video/photographic footage, we ask that you send these to us too. This kind of documentation can help to strengthen your claim and increase your chances of receiving a higher amount of compensation. If you don’t have any evidence with you, don’t worry. Our personal injury solicitors can help you to gather any useful information and build a strong case. How Much Compensation Can Ashford Personal Injury Solicitors Get For A Successful Claim? All personal injury cases are different. Until we’ve conducted the initial interview and gathered all the evidence about your claim that we possibly can, there’s no way of putting an exact figure on the amount of compensation you’re likely to receive. However, when our Ashford team of personal injury solicitors have learnt more about your case, we’ll be able to provide you with an estimated figure of the amount of compensation you’re likely to get for your injuries. We’ll always fight for your cause so you receive the amount of money you’re entitled to. Again, this is difficult to determine until we’ve established whether you have a valid claim and gathered all the information about the case that we can. Some claims are settled within weeks, whereas others can last for a few months or even longer. Regardless of how complicated your case might be, our Ashford team will do their utmost to push your claim through as quickly as possible, all the while making sure you feel comfortable and confident from beginning to end and getting you the compensation and justice that you deserve. Get in touch today with our solicitors now for a FREE no obligation chat and see if you are entitled to make a No Win No Fee personal injury claim with our Ashford personal injury solicitors team.